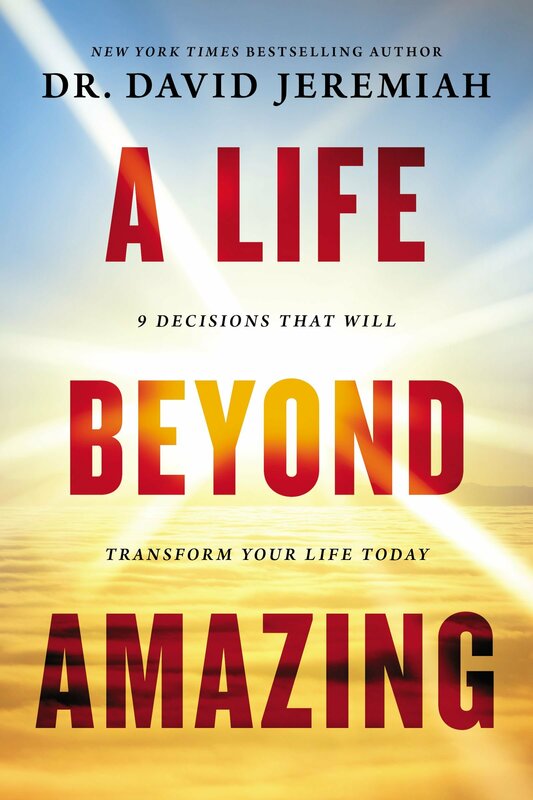 A Life Beyond Amazing: 9 Decisions That Will Transform Your Life Today by Dr. David Jeremiah is an insightful book on how to begin living a godly, Spirit led life. This book explores how exhibiting the fruit of the Holy Spirit can improve and transform our lives for the better. I was very excited to read this book because developing and manifesting the fruit of the Spirit is a desire of mine. Dr. Jeremiah does a fantastic job of explaining and thoroughly examining why each characteristic of the fruit of the Spirit is vitally important. He utilizes a variety of biblical examples, inspiring stories and experiences from his personal life to provide a practical understanding of how readers can exhibit the fruit of the Spirit in their everyday lives. This is the first book that I’ve read by Dr. Jeremiah and I honestly did not know what to expect. I was pleased to discover that it was a very easy book to read. It’s written in a conversational tone and the concepts are addressed in a simplistic manner that helps readers understand and grasp them. The one thing I noticed after reading the first few chapters is that this is not a “how to” book. If readers are expecting this book to tell them how to quickly manifest the fruit of the Spirit in their lives in a step-by-step manner, they are likely going to be disappointed. The focus of this book is on helping the reader acknowledge the importance of living a life that demonstrates the fruit of the Spirit. That’s one of the reasons why I believe Dr. Jeremiah wisely stated that this book shares “9 Decisions”. In my estimation, his objective is to encourage readers to decide to live a Spirit led life, with the evidence of the fruit of the Spirit. There are practical examples shared throughout the book, but ultimately the Holy Spirit will direct readers “how to” do it individually as they develop their personal relationship with Jesus Christ. I really enjoyed this book! My favorite chapter by far was ‘A Life of Compassion’. There was so much depth and richness shared within it that I am looking forward to reading it over an over again to truly make the most of the insights that were shared. This is a fantastic book and one worth reading for anyone, especially believers in Jesus Christ, who is interested in living a life led by the Holy Spirit. If you would like to learn more, you can check the book out on Amazon. I received this book free from the publisher through the BookLook Bloggers book review bloggers program.